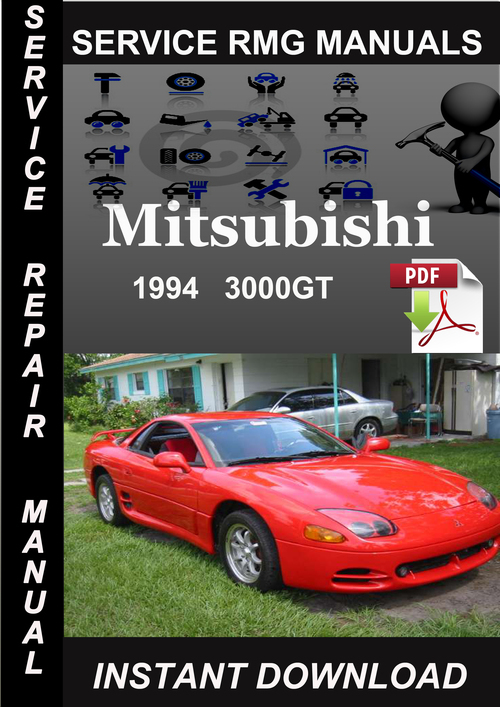 1994 Mitsubishi 3000GT Service Repair Manual is a highly detailed Factory Repair Manual containing everything you will ever need to repair, maintain, rebuild, refurbish or restore your 1994 Mitsubishi 3000GT . This 1994 Mitsubishi 3000GT Service Repair Manual Download topics are covered complete Step-by-step instruction, diagrams, illustration, wiring schematic, and specifications to repair and troubleshoot. This manual is specifically written for the do-it-yourselfer as well as the experienced mechanic,with instruction & highly detailed exploded pictures & diagrams to show you how to complete the required job correctly & efficiently. !! !NO SHIPPING COSTS OR WAITING FOR A PAPER OR CD MANUAL TO ARRIVE IN THE MAIL. YOU WILL RECEIVE THIS MANUAL INSTANTly !!! This file is sold by servicermgmanuals, an independent seller on Tradebit.